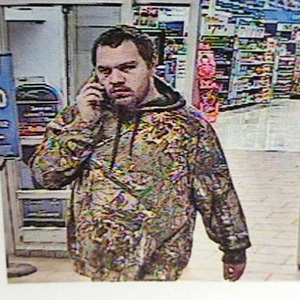 The Staunton Police Department is requesting the public’s assistance in identifying a male involved in a larceny of a generator from Walmart, 1028 Richmond Ave., on January 27. The suspect is described as a white male who was last seen leaving the business in a light colored Dodge Durango. Anyone that has information regarding the identity of this subject is asked to contact the Staunton Police Department at 540-332-3845 or the Central Shenandoah Crime Stoppers at 1-800-322-2017.